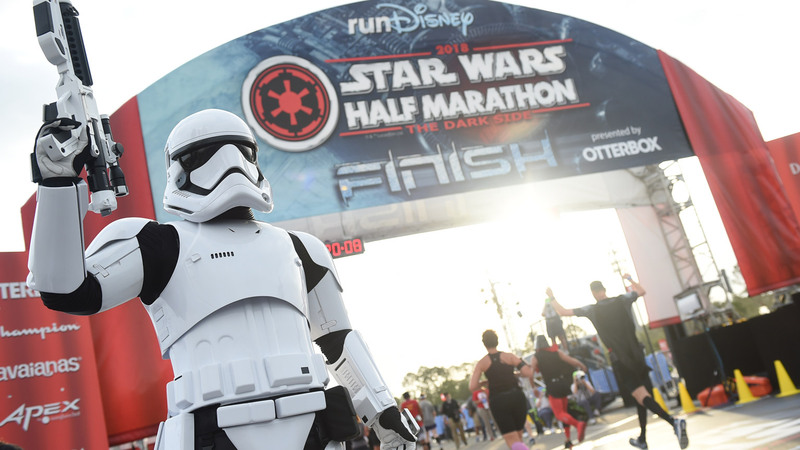 Starting April 4 through April 14 at 3pm ET, you can purchase event bibs and book your Walt Disney World®Resort stay for the 2020 runDisney Star Wars Rival Weekend before it goes on sale to the general public in Spring 2019. This special pre-sale lets you stay at the Walt Disney World owned resort of your choice and secure bibs for every member of your travel party before general registration opens. At the time of booking a $200 package deposit, the cost of optional insurance, and the full cost of the bibs will be due. By taking advantage of this special offer, you have a guaranteed spot for the select runDisney event of your choice, in your races of choice. By guaranteeing your spot now, you won’t have to worry about whether you’re off work on registration day, or about events selling out before you are able to register. After booking your 2020 runDisney Star Wars Rival Weekend trip you will receive an email from runDisney 1-2 weeks after the opening of general registration or booking if you book after general registration is open. That email will contain a personalized link that will let you finish your registration. There is no need to rush to register on opening day as your bib has already been reserved. You can also use this link to add any challenges and pre-sale items. At this time you can also still book select 2019 Wine and Dine Half Marathon, 2020 Walt Disney World® Marathon Weekend, and 2020 Princess Half Marathon room and bib packages! To request a quote please visit our website now. Please know due to the special nature of this pre-sale we must call in each quote so to stream line this process we ask that you please make sure that in the “notes” section of the quote request you tell us the number of each bib needed and any other important details you feel we need to properly price out your stay. This also includes “room breakdown” of adults and children (with ages) per room if you have a large party. If you do not note a preferred resort in the quote form we will request pricing from our agency’s top three booked runDisney event resorts Disney’s Pop Century Resort, Disney’s Port Orleans Resort – Riverside and Disney’s BoardWalk Inn.